Farewell to CeBIT: The most hated tech trade show ever? Yesterday, it was confirmed that CeBIT, the legendary German tech trade show, had closed its doors permanently. CeBIT was an important figure in the European tech landscape, where companies exhibited their wares to a throng of buyers, journalists, and opinion leaders. At its peak, the show drew over 850,000 people, who all crowded into the Hanover Fairground exhibition center. Over time, these numbers dwindled to just 120,000. Why? A few reasons: competition from events like CES, Mobile World Congress, and Computex certainly played a role. With punters going elsewhere, sponsors and vendors pulled out out, and Deutsche Messe, the event’s owners, was looking at a €5 million loss for the 2019 edition of CeBIT. One factor in the diminishing visitor numbers was that Hanover simply wasn’t equipped to host an event of its size. Hanover is a tiny city, home to just 535,000 inhabitants. 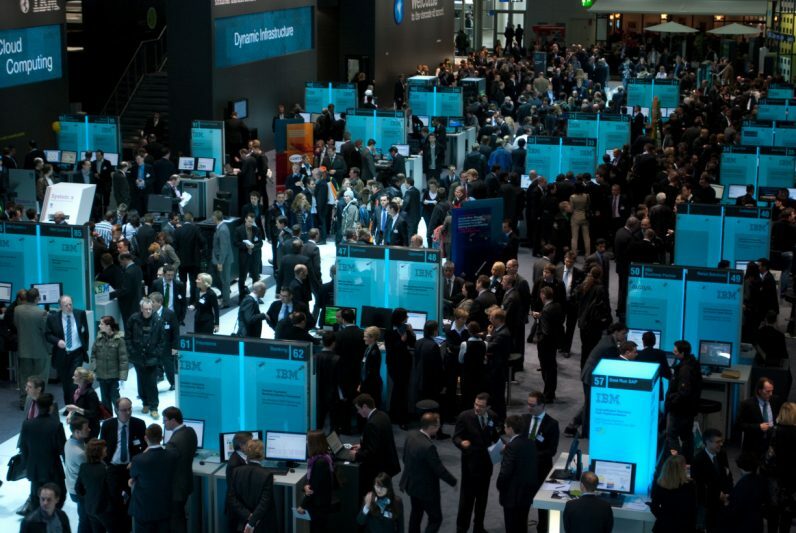 At CeBIT’s peak, the event’s attendees more than doubled Hanover’s population. It was the tech equivalent of tiny Andorra hosting the FIFA World Cup, but replace leery drunk soccer fans with leery drunk technology reporters. Accommodation, in particular, was scarce. The small number of hotel rooms available sold out in a matter of minutes, forcing people to look elsewhere. Many attendees chose to commute to the event from other nearby cities, like Hamburg. Others who wanted to stay close to the venue ended up renting people’s spare rooms in what amounted to a crude predecessor to Airbnb. These accommodations were expensive, and left an awful lot to be desired. Somehow sad that #CeBIT will shut its doors. Feels like a part of my early job memories get lost – didn't we all suffer to go to rainy and cold Hanover in March? Staying in weird private homes because of the lack of hotel rooms? That's history now. “In the 90’s it just got too big,” The Register’s Iain Thomson told me over Twitter. Hanover also came up short when it came to nightlife. While the likes of Barcelona and Las Vegas have enough bars, clubs, and casinos to keep the thousands attendees entertained until the early hours of the morning, that wasn’t true of this sleepy, picturesque German town nestled on the banks of the Leine. CeBIT tried to address this problem by borrowing elements from more popular events. According to Handselblatt, the company introduced SXSW-style stages, food trucks, and even a ferris wheel for its 2018 edition. This failed to attract a younger audience, and only confused the older CeBit stalwarts. But for all the event’s flaws, it’ll still be remembered by a generation of tech writers as the location for some spectacular opulence and debauchery. Back in the 1990’s, before the dot com bubble popped, money was seemingly no object. According to some reporters on a private industry Facebook group, it wasn’t unheard of for companies to ferry reporters over in private jets, or fetch them from the airport in stretch limousines.